The Clean Vehicles Directive was first introduced by the European Commission in 2009 in order to promote innovation and help accelerate the transition to low- and zero emission vehicles by requiring public authorities to take energy consumption and emissions into account when purchasing vehicles. Almost ten years on, the Commission is continuing to encourage innovation by proposing new targets and a reform the Clean Vehicles Directive to make it easier for public procurers to use. 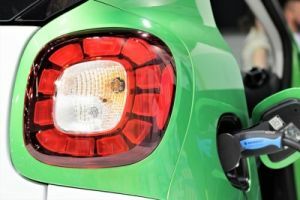 The European Parliament's Committee on Industry, Research and Energy (ITRE) has now produced a draft opinion on these proposals which calls for greater ambition, arguing that requiring the procurement of "ultra-low emission vehicles" is an essential opportunity to deepen and broaden innovation in the European vehicle manufacturing sector, pushing it to regain the lead in the global market for these technologies. The present formulation of the Clean Vehicles Directive remains in force. For more information on how to comply with this regulation and implement green vehicle procurement, the Clean Fleets project - coordinated by ICLEI - developed a range of resources including guidance, training and a LCC tool, all avialable online. Image copyright: Image (pixabay.com) by "GoranH"